The best water damage restoration company in Keller is 911 Restoration Fort Worth thanks to our commitment to professionalism, excellence and customer service and support. Water damage can happen to anyone, even if you don’t live on a flood plain. Do not let water damage destroy your home. Broken hoses, ruptured pipes, and leaking connections can all cause water damage, and if left untreated, it makes the perfect breeding ground for mold. 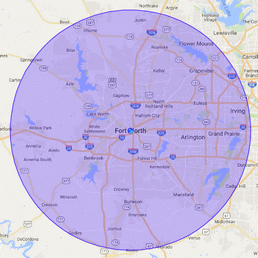 Areas like the city of Keller that are prone to harsh weather and flooding often have special needs and our water damage Keller specialists know this. We offer water damage restoration services at a reasonable price because we know firsthand from our years of plumbing experience the kind of destruction water leaves on a home. We also know that the longer you wait, the more severe the water damage restoration Keller problem becomes. Our plumbing company is available at all hours every day of the week, and we will arrive within 45 minutes after you call. After all, our trained plumbers believe in professionalism, and this means that we will always put the customer first. Keller has been listed as one of the best city’s to live in in the United States. The area was first settled in the 1880’s after the Texas and Pacific Railway was built. 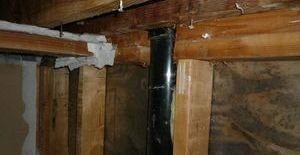 When we first arrive at your home, we will stop and fix the source of the water leak. Once this problem gets under control, then we will assess the full extent of the water damage. Our water damage restoration Keller plumbers take the time to explain how deep the damage goes, and the steps we will take to restore your home to its full glory. We encourage you to ask questions so that you feel completely comfortable with our services. We are completely licensed, insured, and bonded to perform all of our water damage restoration Keller services. And even if it isn’t covered, because we’re the best we’ll work with you and your family to find pricing you can afford, so don’t wait and call our water damage Keller team with 911 Restoration Fort Worth today! Water damage doesn’t only originate from outdoor disasters like floods, hurricanes and brutal thunder showers, as a water emergency can occur just as likely as the result of an indoor plumbing problem like a pipe burst or a toilet overflow too. Once invading water gets into important materials like rugs, carpets, furniture fabric and drywall, it will begin to deteriorate these structures slowly through destructive processes like warping and rotting. Additionally, over time mold will begin to grow which will only cause further problems. Category 1 water situations like a pipe burst usually don’t escalate, but a category 2 grey water problem involving your sewage system that goes untreated can quickly develop into a category 3 black water emergency, which requires immediate attention. No matter what kind or quality of water is coursing through your home or office, we are here to take care of it professionally for you in no time. If your property is already amid a flooding of any kind, then don’t wait another minute to contact our water damage Keller team with 911 Restoration Fort Worth for help today!